Among a year of many firsts, it’s a milestone when your bundle of joy is ready for solid foods after reaching 5 or 6 months old. 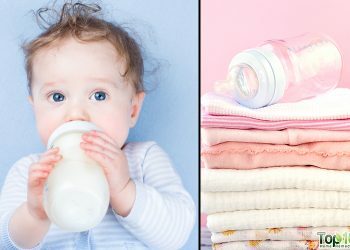 Until 5 months, breast milk is the best food for your baby. In fact, you should continue nursing even after you begin introducing solid foods. As a parent, you want only the best for your child and food definitely tops the list. Through good nutrition, you can give a solid start to your baby’s overall growth and development in the coming years. However, feeding babies can be very tricky as they have very sensitive digestive systems. Thus, it becomes even more important to feed your baby the right food in the initial few months. It is important to introduce one solid food at a time and in small amounts to allow your baby to get used to it. 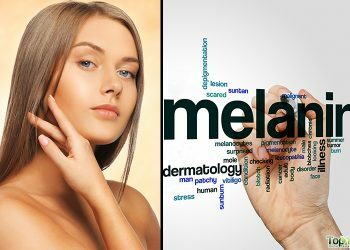 It usually takes about 3 days to see if there is any allergic reaction. Plus, do not forget to consult your pediatrician about introducing solid foods on your baby’s diet. Note: According to the American Academy of Pediatrics (AAP), it is important to wait until your baby is at least 3 months old before offering foods with naturally occurring nitrates, such as carrots, spinach, beets, squash, broccoli, and green beans as it may cause a type of anemia called methemoglobinemia in young infants. Root vegetables like sweet potatoes and parsnips also contain nitrates. 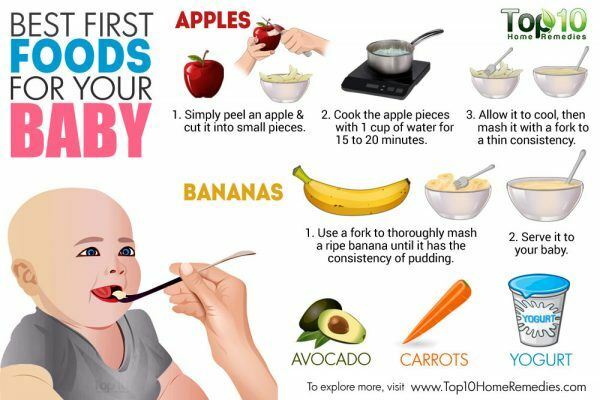 Here are the 10 best first foods for your baby. For the apple of your eye, apples are a great food that can be introduced between 6 and 8 months of age. An apple a day is indeed extremely good for your baby’s health. According to the American Academy of Pediatrics, apples are the number one fruit liked by kids. One of the most important nutritional components of apples is the fiber content, which helps maintain bowel regularity. Other nutrients in apples include vitamins A and E, folate, phosphorus, magnesium and selenium. 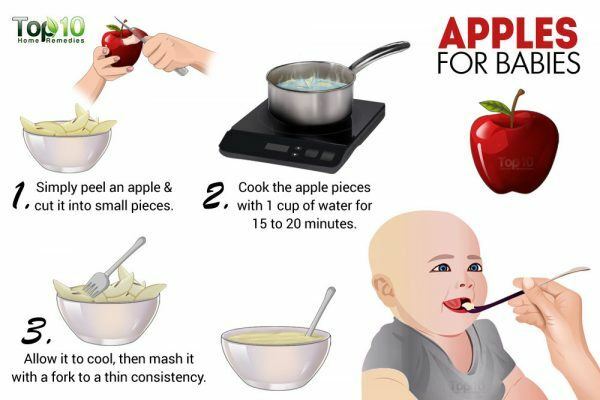 Experts recommended serving applesauce instead of whole apples to babies upto 8 months old. Simply peel an apple and cut it into small pieces. Cook the apple pieces with 1 cup of water or apple juice over medium heat for 15 to 20 minutes. Allow it to cool, then mash it with a fork to a thin consistency. Just like apples, bananas are another key food that you can give your baby after he or she reaches 5 months age. Rich in potassium, bananas help control the body’s water balance. Potassium also helps with muscle functioning and is responsible for the relaxation of your baby’s heart muscle and heart rhythm. It even reduces the risk of kidney stones and osteoporosis in the future. In addition, bananas will give your baby a good amount of carbohydrates that provides sustained energy as well as fiber that supports a healthy digestive tract. Use a fork to thoroughly mash a ripe banana until it has the consistency of pudding. Then, serve it to your baby. 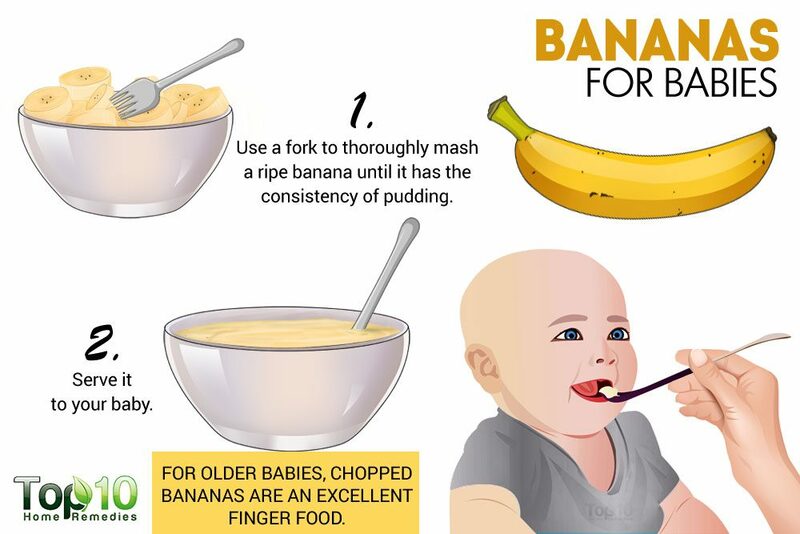 For older babies, chopped bananas are an excellent finger food. One of the best foods that you can feed your baby is avocados. You can introduce avocados into your baby’s diet after he or she reaches 4 months of age. Being loaded with monounsaturated fats, they aid brain development. This type of fat also gives your baby a boost of much-needed energy. Plus, the dietary fiber in them ensures smooth digestion. In addition, avocados have a mild taste and smooth consistency that most babies like. Avocados are also super easy to prepare. Simply mash a very ripe avocado with a fork. Add a little breast milk or formula milk to the mashed avocado. Mix thoroughly until it reaches a pureed consistency. Pears are another nutritious fruit that can be introduced into your baby’s diet. The right age for introducing pears is between 6 and 8 months old. This tasty fruit is rich in fiber, copper and vitamin C. The fiber promotes healthy digestion, and doctors often recommend pears as a remedy to help alleviate a baby’s constipation. Vitamin C and copper protect the body’s cells from damage and support the immune system. Apart from being a good source of vitamins, minerals and antioxidants, pears are gentle on your baby’s sensitive digestive system. There is no need to cook pears. When they are ripe, they are very soft and can easily be made into a smooth puree. Carrots are also one of the top first foods for babies, as they are easy to swallow and digest and even tasty to eat. This root vegetable contains beta-carotene that aids healthy development of a baby’s skin, eyesight and immune system. Plus, carrots are packed with nutrients including vitamins C, K and B8, along with calcium, folate, potassium, iron, copper and manganese. For babies who have not yet developed teeth, carrots can be boiled, baked or steamed and then pureed. Mix in formula milk to reach the desired consistency. For babies who have started chewing, carrots can be served in soft slices for your baby to enjoy. Chilled carrot sticks can be given to babies who have started teething. Note: Always peel the skin off carrots, as infants are not able to digest the skin. Sweet potatoes are another delicious addition to your baby’s diet. Most babies like the creamy, sweet taste. Sweet potatoes are one of the richest sources of beta-carotene, which the body converts into vitamin A. Vitamin A is important for good vision, healthy skin and a baby’s overall growth and development. 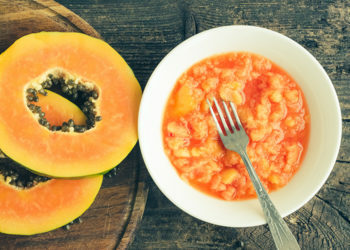 A 2012 study published in Food and Nutrition Bulletin reports that sweet potato-based complementary foods are superior to enriched Weanimix for infants in low-income countries, based on the fructose and phytate levels. Cook peeled and washed sweet potatoes in enough water to cover them in the pan. Cook them until they are soft. Mash the soft sweet potatoes. Add a little water or formula milk to make it thinner before serving it to your baby. Another vegetable that is great for babies is squash, especially butternut and acorn squash. In fact, the bland or savory flavor of squash makes a healthy alternative to sweet fruits. It can be introduced to babies between 6 and 8 months old. Squash is an excellent source of vitamins A and C. While vitamin A is needed for good vision and healthy skin, vitamin C is needed for good immunity so that your baby can fight off infections easily. Other nutrients in squash are potassium, calcium, folate, protein, carbohydrates, and dietary fiber. Bake or roast some squash (without the seeds). 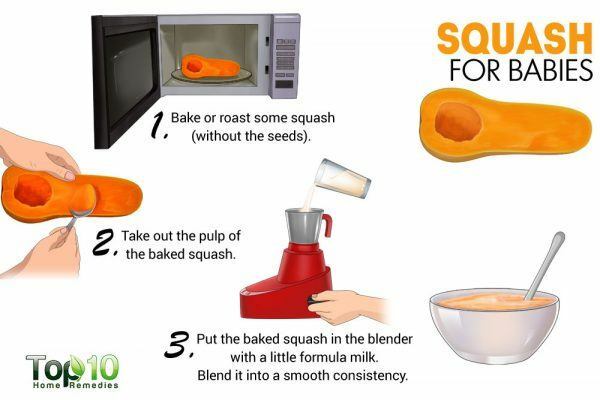 Put the pulp of the baked squash and a little formula milk in the blender. Blend it into a smooth consistency. As your baby gets used to eating pureed food, increase the thickness. Greek yogurt is a yummy food that is considered a healthy first food for babies. Most pediatricians recommend giving Greek yogurt to babies around 7 to 8 months of age. It is a great source of protein, which supports the health of the body’s cells, tissues and organs as a baby grows. Plus, the fat in Greek yogurt supports proper growth. Other nutrients in Greek yogurt are vitamins A and D, calcium and phosphorous. Being a fermented food that has a good amount of gut-friendly bacteria, yogurt is easily digested by little tummies. In addition, along with the super creamy texture, Greek yogurt has a nice tangy flavor that most babies enjoy. Serve plain Greek yogurt to younger babies and do not add any sugar to it. For older babies, try mixing blueberry, banana, apple or pear puree into the yogurt. Brimming with vitamin C, fiber and calcium, broccoli is another good first food for your child. 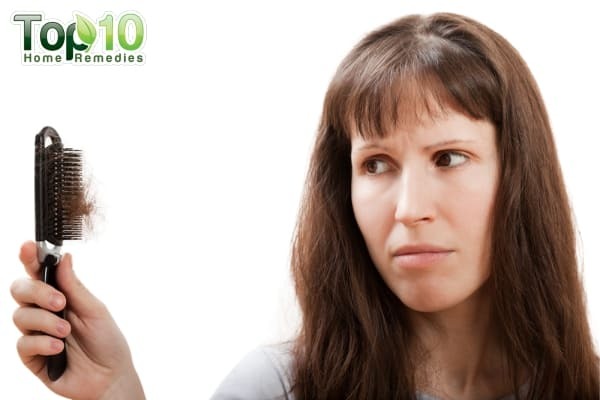 Usually, it should be introduced around the age of 8 to 10 months. Vitamin C gives a boost to your baby’s developing immune system. The calcium in broccol helps foster good eyesight and ward off cell damage. The fiber in it ensures good digestion. It also has several B vitamins that aid in improving the functioning of the nervous system. Other key nutrients in broccoli are iron, magnesium, phosphorus, potassium, zinc and folic acid. Plus, the unique flavor of broccoli can help expand your baby’s taste palate. 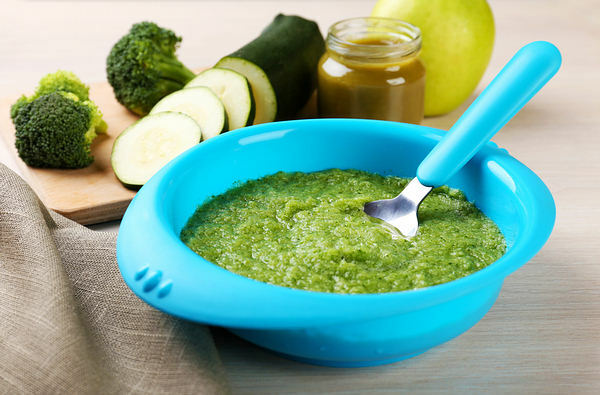 Steamed and pureed broccoli is good for younger babies. For older babies, steamed broccoli florets work as great finger food. Once your baby reaches 6 to 8 months of age, you can introduce parsnips in his or her diet. In fact, it is often overlooked as a great food for babies. Related to carrots, the sweet and slightly nutty flavor of parsnips is sure to please their tiny taste buds. This root vegetable is an excellent source of vitamin C, calcium, fiber and protein. While vitamin C is needed for building immunity, the calcium promotes healthy bones and teeth. The protein in it supports the health of the body’s cells. Simply peel, slice and steam parsnips in the required amount of water until they are tender and mushy. 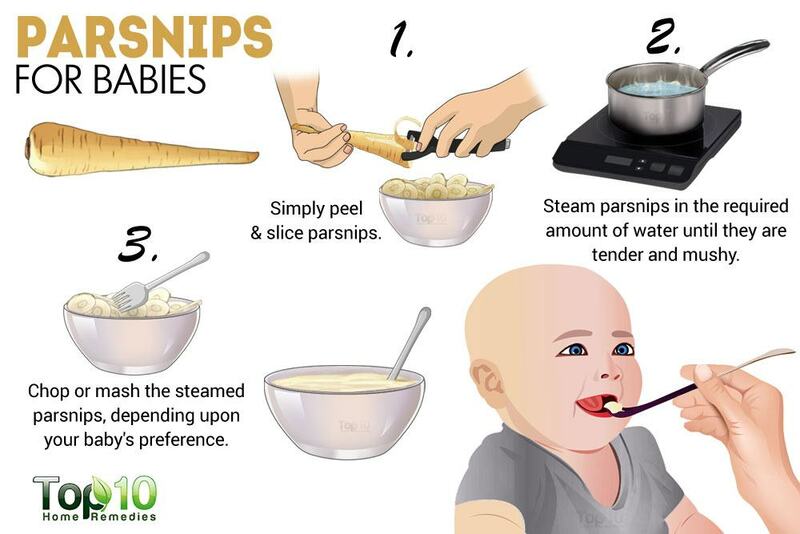 Chop or mash the steamed parsnips, depending upon your baby’s preference. You can also serve steamed parsnips as a finger food. Do not substitute cow’s milk as a replacement for breast milk or formula. Cow’s milk is harder for your baby to digest. Avoid giving any sticky or hard foods, as they can cause your baby to choke. Whole nuts are also not safe for babies under 2 years of age. For children below 1 year of age, honey is not recommended as it can cause infant botulism. Do not feed your baby unpasteurized cheese, as it increases the risk of food poisoning in young babies. Do not give shellfish like shrimp, lobster, crab and scallops to babies below 1 year of age. 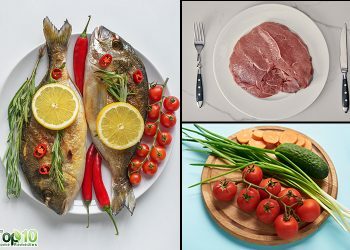 Also, fish that are high in mercury, such as swordfish, shark, tilefish or king mackerel, are not recommended.